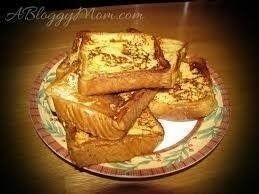 French Toast : First heat the pan, keep some oil or butter as per as you need. Beat the eggs (as much as you prefer ) Add salt to it. Now spread the beated eggs on the bread, both side. 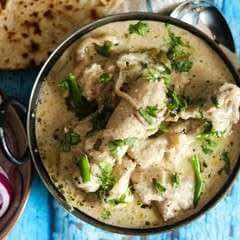 Keep it on the pan, Do check if the below part is cooked ( which might be colored light brown ) Then flip it (the part which is raw) After this keep it on a plate and make as much as you want to make. :) You can also eat it with some honey. It tastes good! Oatmeal: ( LOL too easy right ) Okay So need is a boiled milk. 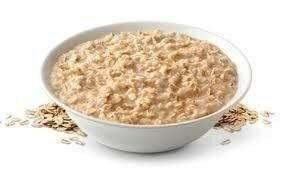 On a bowl keep as much as oats you want and pour on the milk. 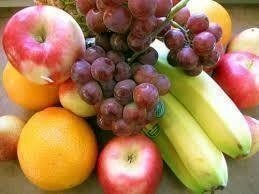 You can add toppings like honey, nuts, raspberries, blueberries etc. 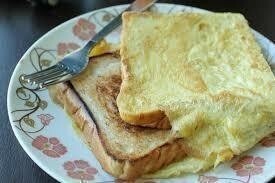 Omelette and bread: Beat the eggs ( As much as you prefer), add salt, also any other spices or vegetables you want to add. Mix it. Pour the batter on a heated oil pan, check it if the below surface of the egg is light brown or not if it is then flip it to another side. Now with the breads toast then or also you can make french toast.